The population of the Transcaucasian republics is constantly increasing. Azerbaijan has the highest growth rates. According to the Azerbaijan’s State Statistics Committee the number of citizens of the country increased by 61,160 and reached 9,959,245 as of October 1, 2018, while since early 2018 Azerbaijani population increased by 69,645 people, reaching 9,967,730 by November 1, 2018. The population density was 115 people per one square meter. The share of the urban and rural population amounted to 52.9 and 47.1 percent, respectively. Women comprised the majority of the total population with 50.1 percent, while men accounted for 49.9 percent. Last year, Azerbaijani population increased by 1.05 percent and amounted to 9,827,589, compared to 9,725,376 in 2016. However, now the population of Azerbaijan is about 10 million. As many as 103,371 newborns were registered by the district and city registration departments of the Ministry of Justice of Azerbaijan in January-September of this year, which make 14.1 for every 1,000 people. Twins amounted to 1,962, triplets - 84. Earlier, Azerbaijani President Ilham Aliyev signed a decree on holding the next census of population on October 1-10, 2019. The current demographic situation in Azerbaijan is positive, while the population size of the country is expected to reach 12 million people by 2050. According to the latest WHO data published in 2018 life expectancy rate in Azerbaijan stands at 70.3 for men, 75.7 for female. 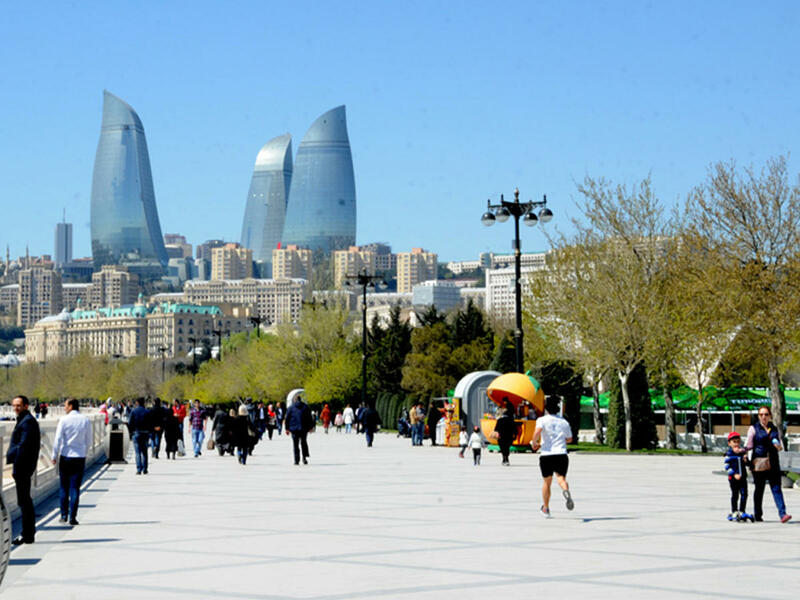 Total life expectancy is 73.1, which gives Azerbaijan a World Life Expectancy ranking of 96. Azerbaijan also ranks 90th for the number of the world's population.